Standing at the vent, the pigs can take off! The first trading day of the Year of the Pig is opened. Where is the best investment slogan? 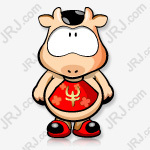 For the readers, select the top ten industries and concepts with the most investment value, and wish the investors to invest smoothly in the Year of the Pig, the stock market Changhong, to seize the group of "flying pigs"! Science and Technology Board is one of the most important events in the securities market in 2019. At the end of January, the CSRC and the Shanghai Stock Exchange set up relevant methods and supporting rules for the establishment of the science and technology board and the pilot registration system, and publicly solicited opinions. This marks that the reform of the science and technology board and the registration system is getting closer and closer to us. At present, the market generally believes that the science and technology board will be officially launched in the first half of this year. Technology companies are difficult to issue in the domestic market because of the restrictions on the A-share market listing system, from the launch of the GEM in 2009, to the strategic emerging board plan in 2015, to the innovative enterprise pilot in 2018, and the With the launch, the state has been actively exploring relevant models for the listing of technology-based companies. The positioning of the Science and Technology Board will focus on the national innovation drive and technology development strategy to serve the technology-based enterprises. At present, no matter whether it is the GEM or the New Third Board, the development has not yet reached the goal of promoting the listing financing of technological innovation enterprises. As far as the GEM is concerned, the listing conditions are getting closer and closer to the main board, and the approval system is also implemented. The New Third Board is actually the closest to the registration system. However, since the continuous bidding system has not been implemented, the threshold for investors has been set too high, resulting in inactive transactions, which actually belong to the OTC market. Therefore, in this context, the launch of the science and technology board is also the trend of the times. China Merchants SecuritiesIt is believed that the capital market reform represented by the Kechuang Board will accelerate the re-engineering of the valuation system of relevant technology companies and drive the valuation of GEM technology stocks. From the perspectives of industry barriers, research and development capabilities, and growth certainty, we recommend “5 big 6 small”. Specifically, it is “R&D 5 leader”:Hang Seng Electronics,UF Network,Guanglianda,NavInfo,Straight flushFrom the short-term anti-cycle and the certainty of growth, we recommend “grow 6 small beauty”:Zhongxin Sike,Meiyabo, entrepreneurial software,Think of medical benefits,Youbo News,Hypergraph software. At the end of January, when the A-share market performance of mines broke out, low-value blue-chip stocks once again became the backbone of the stable market, and the SSE 50 Index continued to rise. As the core representative of the undervalued blue chip, the current market value is about 0.7 times, the margin of safety is extremely high, and the release of comprehensive RRR cuts will also contribute to the growth of performance. The 2018 annual performance report released by several banks in January showed that the non-performing rate in the fourth quarter was declining, and the provision for provisioning was also significantly increased, indicating that the ability of banks to withstand downward pressure on the economy in 2019 is actually increasing. In addition, the central bank created CBS to support the issuance of perpetual bonds, and the bank capital pressure has also been eased, further increasing the valuation space. In 2019, MSCI's A-share inclusion factor will gradually increase from the current 5% to 20%. A-shares will be included in the FTSE Emerging Markets Index. The increase in foreign-invested A-shares will be more, and the low-value, high-dividend ratio will benefit from the banking sector; On the other hand, the recent Yinbao supervision said that “the Bank of China Insurance Regulatory Commission encourages insurance companies to use long-term account funds to increase the stocks and bonds of high-quality listed companies”, and the banking sector has always been favored by insurance funds, or will further benefit. The valuation of the brokerage sector is also in a historically low range. With the establishment and implementation of the science and technology board and the registration system, it will bring opportunities to the investment banking business of brokers, among which leading brokers will take the lead. In addition, the bail-out funds have been put in place, the risk of equity pledge has been alleviated, the market trading activity has increased, and the future performance of brokerages has strengthened. The brokerage sector will usher in a certain degree of valuation repair. 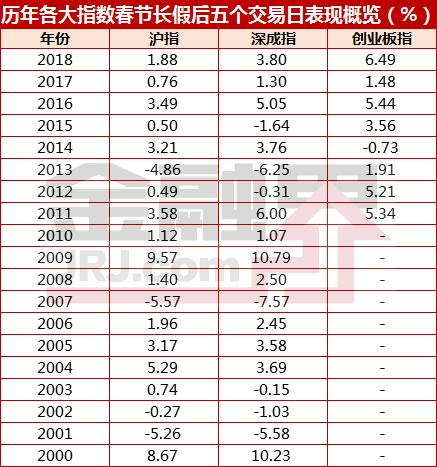 Huatai SecuritiesIt said that the financial industry's 2019 performance is expected to improve upwards, paying attention to the high flexibility of the brokerage sector and grasping the opportunities for repair under the catalysis of banking policies.The securities industry is concerned about investment opportunities for quality brokerages.recommendCITIC Securities,GF Securities, China Merchants Securities.The banking industry recommends ample capital and retail leadingPing An Bank,China Merchants Bank,Construction bank,Changshu Bank,Everbright Bank,Shanghai Bank. As of the end of January, a total of 79 listed companies in the Defense Forces sector issued a 2018 performance forecast. Among them, a total of 73 companies are expected to achieve profitability, with 30 companies with a growth rate of more than 50% and 17 companies with a growth rate of 20%-50%. Overall, 79 listed companies are expected to achieve a net profit of approximately 13 billion yuan in 2018, an increase of approximately 39% year-on-year; in the fourth quarter of 2018, net profit is expected to increase by approximately 98%. The performance of the defense military sector in 2018 is expected to achieve a good growth trend, the fourth quarter results increased significantly, and the industry boom is further verified. In terms of classification, the core central enterprise's 2018 net profit growth rate is expected to be about 26%, the core civil war company is expected to grow at a rate of about 36% year-on-year, the military industry core company's performance growth is stable; the dual main industry participants' performance is bright, 46 The company expects profit growth to reach 49%, far above the industry's overall level. In terms of business segments, listed companies in the aviation sector, which are the focus of military equipment construction, are expected to achieve a net profit of 3.266 billion yuan, a year-on-year increase of 127%; the profit growth of the defense information sector is expected to be flat with the industry as a whole, reaching 32%; The processing and ground armor sectors are expected to increase profit by 46.75% and 47.36%, respectively; the aerospace and marine sectors are expected to achieve relatively stable growth, with year-on-year growth expected to reach 24.39% and 2.71%, respectively. CITIC Construction InvestmentIt is said that the trend of horizontal diffusion and vertical transmission will appear in the military industry in 2019, and the performance of upstream core supporting/component companies in the industrial chain will show rapid growth.In terms of investment strategy, the horizontal spread of prosperity is recommended to the central enterprisesInner Mongolia,Zhongzhi shares,AVIC Shen Fei,Aviation powerGrowth citizenship companyHigh German infrared. Probabilistic longitudinal conduction recommendationAerospace electrical appliance,AVIC,AVICGrowth citizenship companyGuangwei Composite,Jing Jiawei. According to the latest statistics from the Bureau of Statistics, the proportion of tertiary industry in GDP in 2018 was 52.2%, an increase of 0.3 percentage points over the previous year, and the contribution rate to economic growth reached 59.7%. Among them, service consumption maintained a rapid growth rate. In 2018, the per capita service consumption expenditure of residents was 8,81 yuan, accounting for 44.2% of per capita consumption expenditure, an increase of 1.6 percentage points over 2017. Promoting consumption has always been an important means for the government to grow steadily. Since 2019, various consumer-promoting policies have been frequent, and many measures have been taken to promote automobile consumption; to promote the upgrading of home appliances; to expand and upgrade information consumption, and to accelerate the launch of 5G commercial licenses; Income distribution reform. Large consumer stocks have also been the most favored sectors of foreign investment. As of the end of January, the net purchase of funds in the north of the month reached 60.7 billion yuan, a record monthly net purchase high. Among them, the top five stocks of the purchased funds areGuizhou Maotai,Gree Electric,Midea Group,WuliangyePing An Bank, except for Ping An Bank, the other 4 shares are large consumer stocks, and Guizhou Moutai has the highest net purchase amount of 7.7 billion yuan. Cinda Securities believes that consumption is complex and consumers are more complicated. It is not enough to understand consumption from a macroeconomic point of view, or to divide consumers in an extensive way such as per capita income and demographic characteristics. Today's Chinese consumers have an age distinction (X0 later), a geographical distinction (a second-tier city vs a low-line city), and a distinction between living conditions (single and married families). Through the above analysis, two main investment lines are recommended: 1) companies that provide large and comprehensive cost-effective products; 2) companies that provide small and medium-sized sub-segments in the middle and high-end products.Suggested attention: Trade retail industry:Tianhong shares,Yonghui SupermarketTextile and garment industry: Anta Sports,Song Lisi,Fu AnnaSocial service industry:China National Travel ServiceFood and beverage industry:Guangzhou RestaurantLight industry:GujiajiaoAppliance industry: Midea Group,Supor. The pace of capital investment is dominated by policies, so the profitability of infrastructure-related industries is not sensitive to macroeconomic fluctuations, and there are even many industries that have high growth rates against the economic cycle. Under the downward pressure of the economy in 2019, most provinces lowered the growth rate of the economic target in 2019. However, in the provinces where government work reports have been published, the growth rate of infrastructure targets in most provinces is still in line with or faster than economic growth. It can be seen that the target of infrastructure construction in 2019 is more obvious. According to historical data, during the two economic downturns of 2008-2009 and 2011-2012, infrastructure investment played a decisive role in stabilizing and even rebounding GDP growth. At present, China's economy is facing pressures such as external trade conflicts, weak domestic demand, and stricter regulation of real estate. The role of infrastructure investment is crucial. As of the end of December 2018, the construction industry PMI index was 62.6%, which remained within the boom. Since the second half of 2018, a number of railway and urban rail projects have been approved by the National Development and Reform Commission, with a total investment of nearly 1.5 trillion yuan. These approved projects will start construction this year, and the construction industry's high prosperity is expected to continue. The current round of infrastructure supplements is also significantly different from the previous infrastructure periods. The current policy repeatedly emphasizes that the key role of investment is to form precise investment and effective investment, to highlight the shortcomings in the investment focus, to highlight the planned projects in project selection, and to persist in the market allocation of resources in investment decisions. Decisive role. In addition to traditional transportation, municipalities, water conservancy, etc., eco-environmental protection, people's livelihood services (medical education, etc. ), new infrastructure (artificial intelligence, Internet of Things, etc.) are also included in the key infrastructure investment areas identified by the state this year. Guosen SecuritiesIt is said that the current infrastructure construction short-board policy has been continuously strengthened. Under the promotion of transportation project investment, eco-environmental rise, and rural revitalization strategy, the growth rate of infrastructure investment is expected to rebound to more than 10% this year.Focus on recommending the building's leading performance over expectationsChinese architecture, the central enterprises' infrastructure leader who benefited from the railway and rail transit approval and speeding up constructionChina RailwaywithChina Railway Construction, the new single sign exceeds expectations, the highest level of dividends in the industryShanghai Construction EngineeringThe growth of the out-of-province market is strong, benefiting from the speeding up of rail transit approvalTunnel shares. A few days ago, the results of the 5G Phase III test were released. A number of vendors participating in the test were awarded certificates. Both the 5G base station and the core network equipment have reached the pre-commercial requirements. In addition, Huawei and ZTE have also completed relevant tests for the 2.6 GHz band, which has laid an important foundation for China Mobile to accelerate the deployment of 5G networks, and China Mobile has always been the vane of the communications industry. The industry expects that domestic operators will start 5G equipment bidding in the first quarter of 2019, and the A-share 5G sector will also enter the performance release period from the previous concept hype.At this stage, the direct benefit is the 5G main equipment manufacturer, such asZTEThe logic behind it has two points. First, the 5G R&D investment in the early stage will soon be realized. Second, the deployment density of 5G base stations will be higher, which will increase the demand for 5G base stations. A prediction shows that the number of 5G base station deployments will be It is about 1.5 times that of 4G. In addition to the main equipment supplier, the supporting manufacturers of the 5G industry chain will also benefit from PCB, antenna, filter and other modules. For example, the mass construction and upgrading of 5G base stations will bring huge demand for PCBs, and PCB will usher in a new round of upgrade and replacement needs.Among listed companiesShennan circuit,Hudian sharesCore competitivenessDue to the application of 5G to MIMO technology, the number of antennas on a single base station will also increase exponentially.This is forLixun Precision,Fei RongdaSuch companies will undoubtedly form a performance catalystAt the same time, since each antenna needs to be equipped with a duplexer, each duplexer consists of two sets of stopband filters of different frequencies. As the number of antennas increases, the number of filters increases proportionally.Dongshan Precision,*ST Van ValleyOther companies will benefit from it. From the perspective of policy catalysis, the Minister of Industry and Information Technology stated in early January that it will issue 5G temporary licenses in some regions in 2019, and the market expects that 5G official commercial licenses will be issued around the end of 2019. At present, the central government has set a pace to accelerate the pace of 5G commercialization in 2019, and what policy care will be gained in the future 5G is worthy of attention. However, it should be reminded that the true maturity of 5G also needs to be accompanied by the popularity of downstream industry applications. Otherwise, if the operator's revenue growth is weak and the willingness to expand the network is insufficient, equipment manufacturers and supporting manufacturers may face the problem of insufficient orders. Of course, since 2017, the market has already had certain expectations for 5G, and some stocks have not risen too much. For investors, it is also necessary to prevent some companies from short-term performance that is less than expected. Last year's 531 PV new policy triggered the market's concerns about the limited size and subsidies of the PV industry from the "quantity" and "price". In 2019, the National Development and Reform Commission and the Energy Bureau jointly issued a PV parity online policy. Supporting PV parity and low-cost Internet projects in terms of scale expansion, cost reduction, revenue increase and quality improvement. The introduction of the parity Internet policy has alleviated the market's concerns about the impact of the decline in photovoltaic subsidies on the installed capacity, and also ensured that the projects reviewed and started before 2020 are guaranteed, which supports the installed capacity of photovoltaics before the arrival of affordable Internet access. In the current transitional stage, the photovoltaic industry leader has significant advantages in scale, automation upgrade, process modification and efficient product supply, with greater potential for cost reduction and slowdown, and is more competitive in the process of landing on a cheaper Internet. At present, the domestic photovoltaic industry has developed from “two heads out” to “mastering the core technology and equipment of the whole industry chain”, which laid the foundation for the development of the industry; as the photovoltaic technology and equipment mature, the advantageous resource areas have begun to appear in the price project. The market is also looking forward to the PV industry entering the "Golden Decade". Individual stocks, silicon faucetTongwei shares, monocrystalline silicon wafer faucetLongji shares, inverter and EPC faucetSunshine power, photovoltaic cell process equipment faucetJiejia WeichuangIt is worth paying attention to. Wind power is also a key new energy field that is about to go to parity online. The market is expected to implement wind level prices in 1-2 years. By then, parity projects will become the main driving force for wind power market demand. Judging from the operation of the industry, driven by factors such as offshore and decentralized wind power, last year, the wind power industry added 20.6 GW of new grid-connected capacity, an increase of 37% year-on-year. The market expects that the demand for wind power will increase by about 20% in 2019. Under the influence of favorable factors such as the lower interest rate of loans, the improvement of wind curtailment and the start of wind power projects, the high prosperity of the wind power industry will also be reflected in corporate profits.In this context, the various segments are likeGoldwind Technology,Tianshun Wind EnergyIt is worth paying attention to. Not long ago, Xiaomi showed a double-folded mobile phone, which caused quite a lot of controversy. Behind this, the innovation and development of the panel industry also showed a new direction. At present, a number of mobile phone manufacturers have announced that they will release folding screen mobile phones at the end of February. After the launch of the folding mobile phones, the first to benefit is undoubtedly the OLED panel manufacturers. In fact, after the Xiaomi double folding mobile phone is exposed,VisionoxIt is also widely acknowledged that the screen of the mobile phone is provided by it, and Visionox also said that it will cooperate with the production of flexible AMOLED screens according to the needs of Xiaomi. In addition, one can observe that Huawei's OLED mobile phone penetration rate is far lower than the industry average, as Huawei's important OLED panel partner,BOE AIn terms of capacity reserves, the market continues to increase. The market expects that Huawei is expected to become the largest customer of BOE OLED screen and promote the domestic OLED panel industry to enter a new stage of development. In addition,TCL GroupThe asset restructuring plan has been announced. In the future, TCL Group will focus on the Huaxing Optoelectronics semiconductor display industry as its core business. Another panel company in the A-share marketDeep sky horse AThe OLED capacity expansion plan has also been launched. It can be seen that the OLED market is currently far from saturation, especially under the domestic substitution and blessing, domestic manufacturers are about to usher in a major opportunity. In addition to the display panel, the chip is also a semiconductor segment that can be focused on in 2019. In retrospect, the first phase of the National Integrated Circuit Fund has invested 138.7 billion yuan, and the second phase of fundraising is also underway. The market is expected to exceed 150 billion yuan, and at the same time, it will drive hundreds of billions of local industrial funds. From the perspective of the first phase of the big fund, 67% of them invested in integrated circuit manufacturing and 6% invested in equipment and materials. At present, integrated circuit manufacturing equipment and materials belong to the weak link of China's semiconductor industry chain, and the second phase of funds may be more The weak link in the industrial chain is tilted. At the same time, because the alternative logic of domestic semiconductor equipment still exists,North Huachuang,Changchuan TechnologySuch listed companies are worthy of attention. 2018 is the "winter" of traditional fuel vehicle sales. Traditional car companies have experienced rare growth or even negative growth. At the same time, sales of new energy vehicles are "outstanding": According to the data of China Automobile Association, the accumulation of new energy vehicles in 2018 The sales volume was 1.256 million units, a year-on-year increase of 62%, of which sales volume was 226,200 units in December, a year-on-year increase of 39% and a quarter-on-quarter increase of 34%. In terms of vehicle structure, the cumulative sales of pure electric vehicles in 2018 was 984,000, a year-on-year increase of 51%; the sales of plug-in hybrid vehicles was 271,000, an increase of 117%. In 2019, investment opportunities in the new energy automobile industry chain are still worthy of attention, especially in the industry chain. New energy vehicles are undoubtedly a major trend in the future. China has a large gap between the traditional fuel vehicles and the world's leading automakers. Most of the core technologies are in the hands of foreign automakers, but in the new energy auto industry, China and international automakers The gap is not big, and even in some respects we still have certain advantages. In terms of policies, there are many plans to encourage the development of new energy vehicles. However, the state will shift from heavy “quantity” to “heavy quality”, focusing on supporting new energy auto companies with core technological advantages and scale advantages, that is, new Subsidies for energy vehicles are no longer a general policy, but rather a “subsidy-oriented enterprise”. Those “deception” vehicles that do not have core technology will be abandoned by investors in the secondary market. Starting from such logic, the investment in the new energy automobile industry chain in 2019 focuses on leading enterprises in various sub-sectors.Haitong SecuritiesAccording to the research report, the top five manufacturers of new energy passenger vehicles have a market share of 60%, and there is room for further market concentration. January-November 2018BYDThe sales volume of new energy vehicles of Beiqi Department (including Beijing Automotive and Beiqi New Energy) and SAIC Passenger Vehicles ranked the top three in the industry. Among them, BYD's cumulative sales volume reached 200,000 units, an increase of 98% year-on-year. BYD has four of the top ten hot-selling new energy models, and the advantages are significant. In fact, the BYD Dynasty series and Model3's sales in 2018 showed explosive strength, with the benchmark effect of the automotive market. In the secondary market, although the new energy vehicle and lithium battery concept index both underperformed the Shanghai and Shenzhen 300 Index in 2018, BYD and other stocks performed well, especially since November 2018, a wave of strong rebound has started. . The investment in the new energy automobile industry chain is mainly the upstream lithium battery and motor raw materials; the motor, electric control and battery in the middle reaches; the complete vehicle, charging pile and operation in the downstream. Related stocks such as BYD,Dangsheng Technology,Xusheng shares,Shanshan,PolyfluorideWait. In the A-share market, the “pig cycle” is a concept that is no stranger to investors. The so-called pig cycle mainly refers to the cyclical change between pork price and supply and demand. It is expressed as “the increase in pig prices – the increase in the number of sows, the increase in the supply of pigs – the oversupply, the fall in pig prices – the ability to The pig stocks have fallen, the supply of pigs has decreased – supply shortages, and pig prices have risen. This cycle usually lasts three to four years. Due to the impact of African swine fever, this round of pig cycles will come early. The peak of the pig cycle of this round of pigs is counted from 2017. The inflection point of the pig cycle is about the first half of 2020. However, due to the impact of African piglets, the capacity of pig companies will accelerate. This also means the pigs. The inflection point of the cycle will arrive early in the middle of 2019, even earlier. Because of the impact of African swine fever, the number of sows can be reduced, the enthusiasm of pig farmers to replenish the bar is greatly reduced, and consumption changes are not large, which will lead to the emergence of supply and demand gaps. Secondly, the model of “Southern pigs” The pork market in the north and south is separated. A large number of small and medium-sized farmers in the production area will have a low willingness to make up for the loss of the column, and the price of the sales area will be good but the environmental protection will suppress the column. Another more important reason is that the current production capacity in the market is mainly the capacity before the occurrence of African piglets, so the current pig market concept stocks in the secondary market, such asWen's shares,Makino shares,Zhengbang TechnologyThe sharp rise in stocks is mainly due to the expected response to the increase in pig prices. The real impact of African piglets on the production capacity of the pig market, that is, the reduction in supply and the acceleration of production capacity, have not yet occurred. It is only one of the expectations for the future. Kind of reaction. The pig cycle industry chain, the first is the pig pig listed company, such companies in the process of rising pig prices in the performance of greater flexibility; followed by the breeding industry to increase the enthusiasm of the process, Yang pig feed and animal vaccine listed companies; It is due to the increase in pork prices and investment opportunities for listed companies such as chickens, ducks and fish. Pig cycle concept stocks, such as Wen's shares, Makino shares, Zhengbang technology,new Hope,Biological sharesWait.